1. The Scriptures are true, authoritative and sufficient. 3. The Father is God. The Son is God. The Holy Spirit is God. The Father is neither the Son nor the Holy Spirit. The Son is neither the Father nor the Holy Spirit. The Holy Spirit is neither the Father nor the Son. 4. I am, along with all humanity (Christ excluded), by birth and action a sinner. 5. The deserved penalty for sin is death, both physical and spiritual. 6. Jesus Christ is the eternal Son of God, was born of a virgin and is both fully God and fully human. ​ 7. Jesus Christ died as my substitute to pay the penalty for my sin. 8. Jesus Christ physically rose from the dead. 9. Jesus Christ physically ascended into heaven and will one day physically return. 10. There will be a future physical resurrection of the dead. Those who trust in Jesus Christ alone will be raised to eternal reward. Those who have not trusted in Jesus Christ will be raised to eternal punishment. 11. Only by trusting in the person and work of Jesus Christ alone can I be reconciled to God and experience true life and joy. 12. The Holy Spirit glorifies the Lord Jesus Christ, and during this age ​indwells, convicts, regenerates, empowers, gives gifts, guides, and instructs the believer. God also desires to fill every Christ follower through the Holy Spirit, which is most evidenced by Godly living, service and witness. 13. The Lord Jesus Christ has committed two ordinances to the local church, baptism and the Lord’s Supper. We believe that Christian baptism is the immersion of the believer in water into the name of the triune God. We believe that the Lord’s Supper was instituted by Christ for commemoration of His death. We believe that these two ordinances should be observed and administered until the return of the Lord Jesus Christ. 14. Jesus Christ is the Lord and Head of the Church, and every local church has the right, under Christ and through the power of the Holy Spirit, to decide and govern its own affairs. 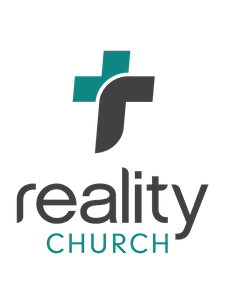 Have a question about what we believe at Reality Church? Get in touch with a person on our lead team directly by clicking the button below. Copyright 2019, Reality Church. All Rights Reserved.